Just in case you didn’t already know, the Pearl River Palace that used to operate on the 3rd floor of the Suntec Convention Centre is no longer there. For quite a number of months now, Victoria Peak has been operating in it’s place. In fact, this is Victoria Peak’s 2nd outlet, the 1st being located on the 11th floor of Orchard Central! As for my beloved Pearl River Palace, it has closed for good so you won’t find it anywhere else in Singapore. 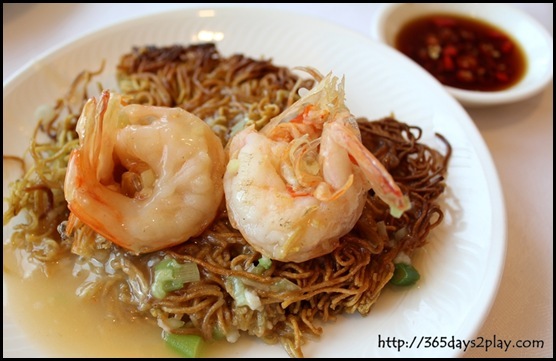 I did actually enjoy dining at Pearl River Palace. 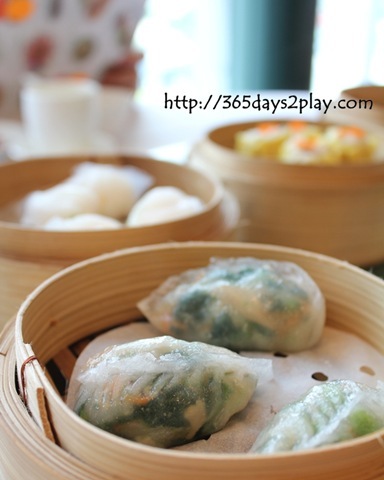 The service and dim sum were exquisite! So obviously, I had to go check out Victoria Peak to see if it would match up to the standards of Pearl River Palace. Whaddya know, upon stepping into Victoria Peak last Sunday for afternoon dim sum, I discovered that the place looks almost exactly like Pearl River Palace! The decor hasn’t changed! The only difference is that it wasn’t as crowded, the staff are no longer the same and for some strange reason, they don’t provide napkins anymore (the type you lay on your lap). Victoria Peak is having a 30% discount on all dim sum dishes from now until perpetuity (ok the staff don’t know when the promotion ends so that means it’s relatively safe to go in the next few weeks). There was a huge signboard advertising the 30% discount, but not one of us saw it. I blame it on the throngs of New Creation Church goers who might have blocked my view of the signboard! 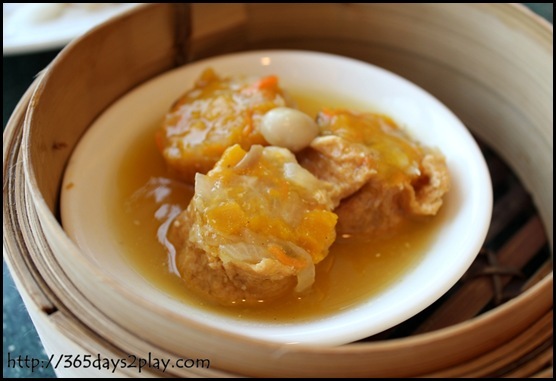 Deep fried Beancurd Skin with Prawn $5.50 – This is one of my favourite dishes to order whenever I have dim sum. 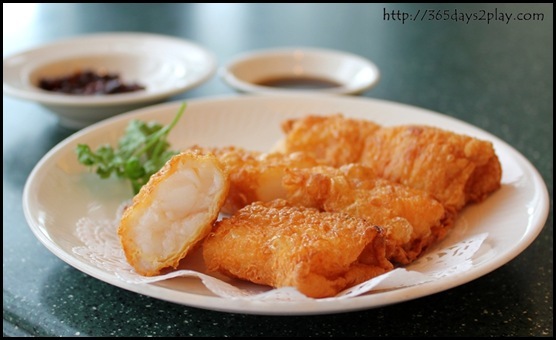 I just love beancurd skin! This version here was not oily tasting which is good, but I thought that the prawn taste didn’t come through. 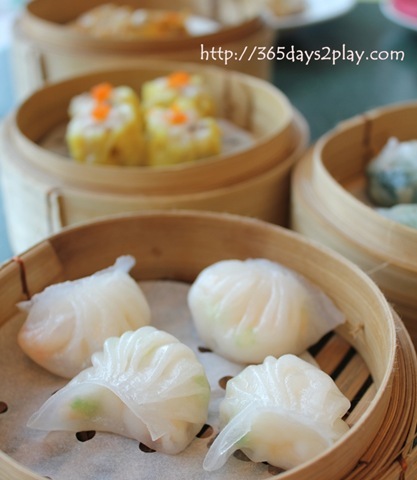 Steamed Shrimp Dumpling $5.50 – Another must order for me. Dumplings were a little on the small side. Pretty good. At least the skins were nice and thin. 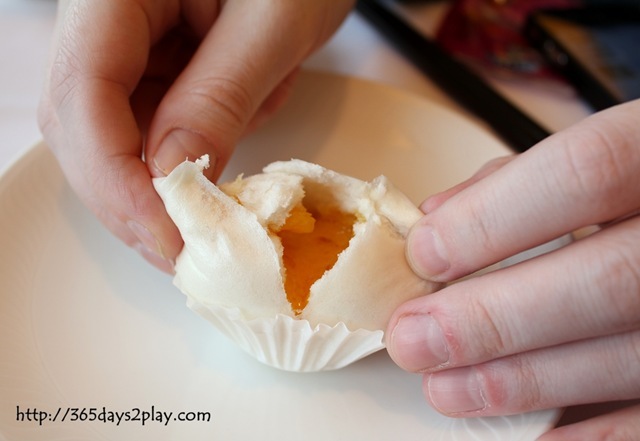 Don’t like those dumplings with thick skins that go soggy after a while. 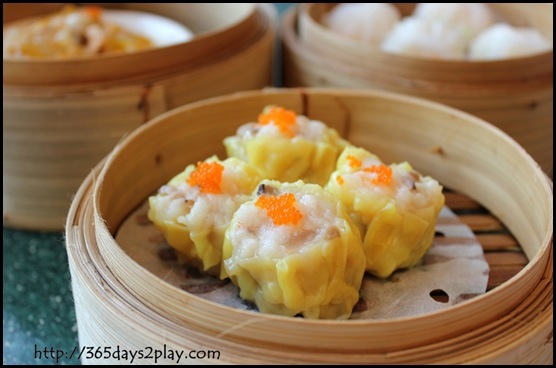 Siew Mai/Pork Dumpling $4.80 – I liked the bouncy texture of the pork dumpling and they were quite generous with the roe at the top of the dumpling. Steamed Cheong Fun with Prawn $5.50 – This one was so so. Rice Roll felt a bit soggy and mushy. Prawns were not big enough. Steamed Dumpling with wild mushroom in pumpkin sauce $5.50 – I have no idea how this tastes cuz this was served wrongly to our table. We spent 5 minutes trying to guess what this was, before relinquishing the dish to the wait staff. Should have quietly eaten it! And this wasn’t the only dish that was sent wrongly to our table. A total of 3 or 4 extra dishes were sent to our table! We should have grabbed them all! Even a jug of beverage was also sent to our table! At least none of the dishes we ordered went missing. 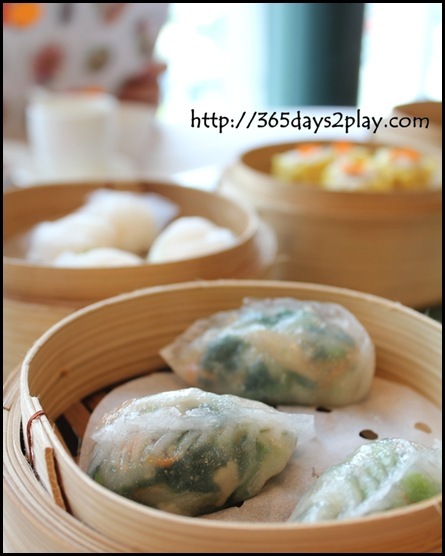 Steamed Vegetarian Dumpling with Spinach $4.80 – This was so so on the flavours but I liked the crunch of the ingredients. As with crystal dumplings, the skin tends to be thicker and stickier. Have you ever come across one with a thin skin? Steamed Barbecued Pork Bun aka Char Siew Bao $3 – Bao was pretty good. Everyone liked it as the meat tasted fresh and there was a lot of meat rather than cheap fats. I would have liked for the sauce to be slightly sweeter, but that boils down to personal preference. Bun was fluffy and light. 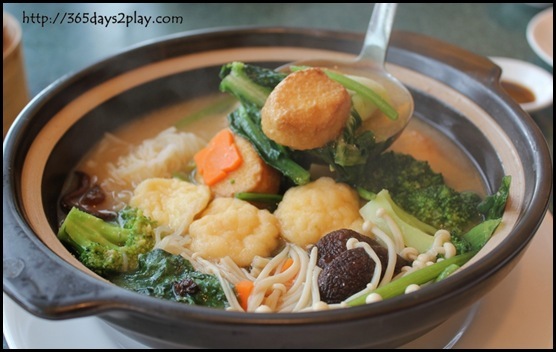 Vegetable Pot $19 – Being a pescetarian, my father decided to order this to supplement the number of meat-free dim sum he consumed. 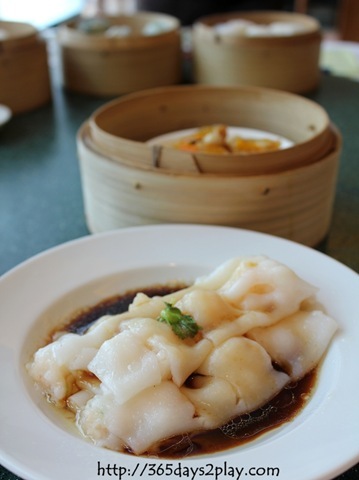 I was hesitant to order this at first (I mean dim sum is supposed to be relatively veg free and I was in a dim sum mood) but it turned out to be a great dish. Everyone loved it very much! The soup broth was really flavourful and rich. The vegetables were all fresh and still had a bite to it. Really really nice and healthy too! 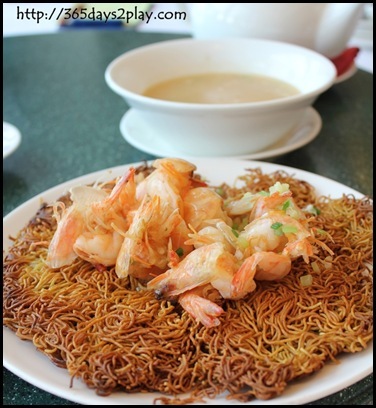 Crispy Noodle with Prawn $19 – This was also another great order although I’m not really sure if it is worth $19. There weren’t that many prawns, and noodle is cheap. 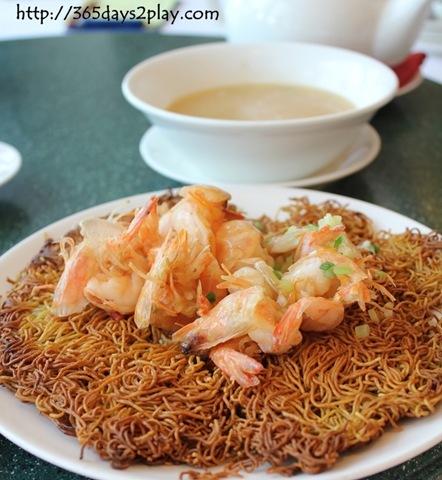 Nonetheless, the thick stock that they ladled onto the crispy noodle made the noodles taste very good. The stock is provided separately so your noodles remain crispy until when you desire to have them. Steamed Egg Custard Buns $4.80 – Last but not least, the flowing custard bun. Served hot with lots of oozy custard in a fluffy bun. Really no complaints here. Sorry no photo of the custard oozing out cuz it’s just tooooo precious to waste on a photo! On the whole, I would say that Victoria Peak’s dim sum is very good, especially considering the price. For all that we ate, we spent only $79 including tea! 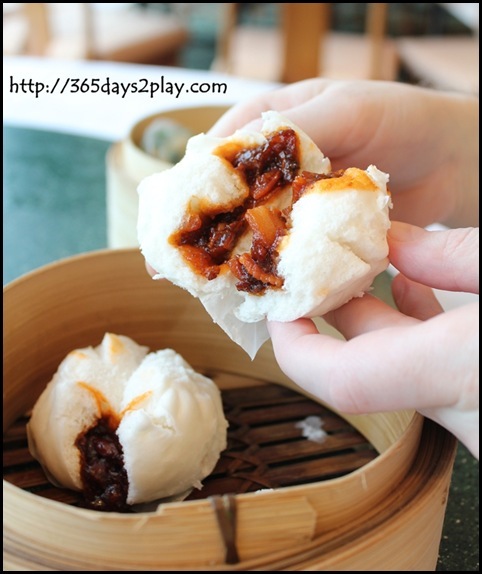 It’s just not as good as my beloved Pearl River Palace, but I will certainly make another trip back, while the 30% discount promo is on! 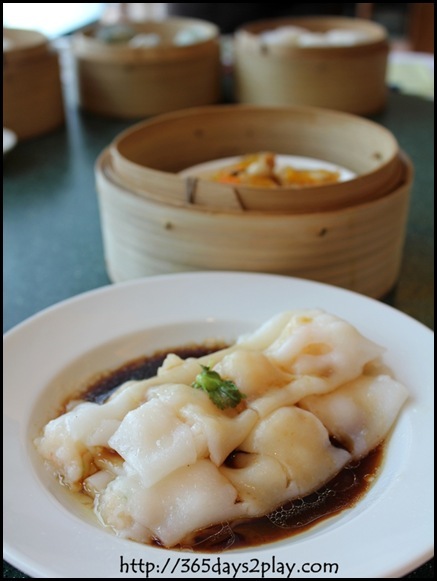 Remember, the discount applies only to the dim sum dishes, so if you’re ordering the crispy noodle or the vegetable pot, you have to pay full price!